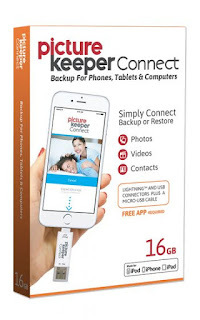 Living a Fit and Full Life: Picture Keeper Connect is the No-Fuss Backup for Apple and Android Devices and Tablets! Picture Keeper Connect is the No-Fuss Backup for Apple and Android Devices and Tablets! Welcome to simplicity. This isn't the cloud, it isn't a hard drive, it isn't just a flash drive. Picture Keeper is a solution. We embed our software onto our custom flash drives and make them available in multiple capacities. Picture Keeper gets you started protecting your photo files quickly. We offer a wide variety of drive sizes to fit whatever your photo needs may be. Why do we make things easy? Everyone is busy! And when things are complicated, people don't do them. And when it comes to your photos, you don't get do-overs. Think about it - what’s the one thing you’d want saved if your computer crashed? Your pictures! Picture Keeper Connect is the no-fuss backup for Apple and Android devices and tablets! As a mom of four one of my biggest fears is that I loose all my precious pictures of my kiddos. It hasn't happened yet but I know so many people who have lost their phone or tablet along with many precious photos that they'll never get back. To keep from being in that situation I tried out Picture Keeper Connect. What I love most, other than the peace of mind I get from knowing my photos are safe is that Picture Keeper Connect requires no internet connection so I can backup anywhere, anytime. I also love that it doesn't duplicate and backs up all pictures, contact info and videos quickly and easily. 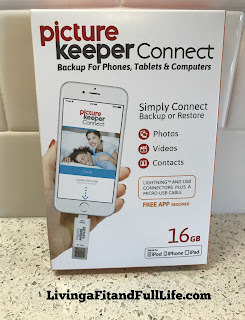 Picture Keeper Connect is a quick and easy solution that gives me peace of mind! 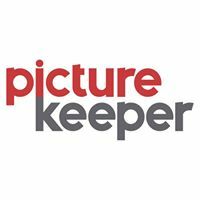 Click HERE to learn more about Picture Keeper! Follow Picture Keeper on social media!